Imagine a Survivor season that begins with Boston Rob riding on a camel, along with his fellow castaways, stranded somewhere in the Middle East. It sounds fun to picture but it also came very close to being reality. Some of you may not know this but before Survivor: Marquesas fell into existence, season four of the show was supposed to take place out on an oasis in Jordan. At that point in the series, the show was still pretty big in the cultural zeitgeist. The previous season had finished wrapping up in Africa. Physically, there was no doubt that Survivor: Africa had provided the biggest physical challenge to its contestants. There was no water source near their camps, the climate was excruciating and the players always had to be weary of actual lions eating their heads off. Historically up until this point, each season had been harder than the other. Survivor: Borneo was tough but Survivor: the Australian Outback had been even tougher, especially with those additional three days. Africa kept the simmer going on the difficulty settings and Survivor: Arabia, as Mark Burnett planned to call it, was going to be the toughest challenge yet. That imagery of Boston Rob on a camel? That was Mark Burnett’s real plan for how to open the season. Of course, none of the actual cast had been set by the time Burnett was thinking about his location but that’s a minute detail. As per Burnett’s book Jump In! Even If You Don’t Know How To Swim, the players were going to arrive by train and then get on camel-back and ride their way to Jeff. Mark and his crew were very much into pre-production of this Survivor: Arabia season and ready to get into the actual production of the season. He had thought about the challenges, they were going to straight out of Arabian Nights. Some challenges were going to be held on camel back. The players would have Bedouin tents to set camp in. Everything was falling into place for a brand new Survivor season unlike any other. Burnett and his crew were very serious about their new location. They went out and scouted Wadi Rum for an entire week. There they got familiar with Jordan’s King, King Abdullah II. They spent their nights out in the desert of Arabia. That time spent on-location convinced Burnett of Jordan’s beauty, and difficulty level, which would make it perfect to shoot Survivor 4. Then everything changed in September of 2001. 9/11 happened and the world was never the same. The show wasn’t even sure it still wanted to be on their air with a name like Survivor when the real-life survivors and heroes were now making the news every day in regards to their bravery during the events of 9/11. Survivor was kind of at a standstill. Eventually, they aired Africa following a delay in scheduling and the show still drew in a lot of people, if less so than Australian Outback had. One question was answered: they could still go ahead and produce more seasons. Another thing became clear: there was no way that the 4th season of Survivor was going to take place in the Middle East. Though Jordan had no involvement in the horror that was 9/11, the political climate between the USA and the Middle East immediately following 9/11 was not good. Jordan’s king personally called Burnett, in hopes that the show would still decide to film out in Jordan. If ever the Middle East needed reassurance, we need it now Mark. Film your show in Jordan. Show the world that terrorists cannot alter peaceful plans. By his own admission, Burnett was flattered by King Abdullah’s personal pleas. Burnett also knew that sending 16 Americans to play a gameshow amidst all of that chaos would have been extremely dangerous. It would also have caused massive backlash among the fans and critics of the show and likely would have killed the franchise as soon as the news broke out. Still, with the decision to move on from filming in Jordan, Burnett needed to secure some of his crew members. Remember, the show was in deep pre-production by 9/11 and Burnett had people on-location, ready to get going. Burnett actually had to get the King’s help to secure a safe way to get his crew members back to safety and out of the Middle East, something the king graciously helped to do despite Burnett’s decision to pull out of Survivor: Arabia. Without a location to film in, Burnett was now at a crossroads but he needed to act fast. I remember calling [CBS boss] Leslie Moonves and saying ‘We clearly can’t shoot in the Middle East’. And he told me ‘change locations and figure it out. All of our equipment was stuck in Aqaba. In those days [after 9/11], no ships could leave harbors. So we had to buy all new equipment. At the time many cruises got cancelled. So suddenly there was an available cruise ship. It sailed in to the Marquesas harbor from Seattle and that is where the crew stayed. The show was still pulling in massive amount of money in advertising, over one hundred million had already been committed to Survivor 4, and production couldn’t just skip a season to better prepare. Instead, the settled on Marquesas as a location and planned a “back to the beach” motif. 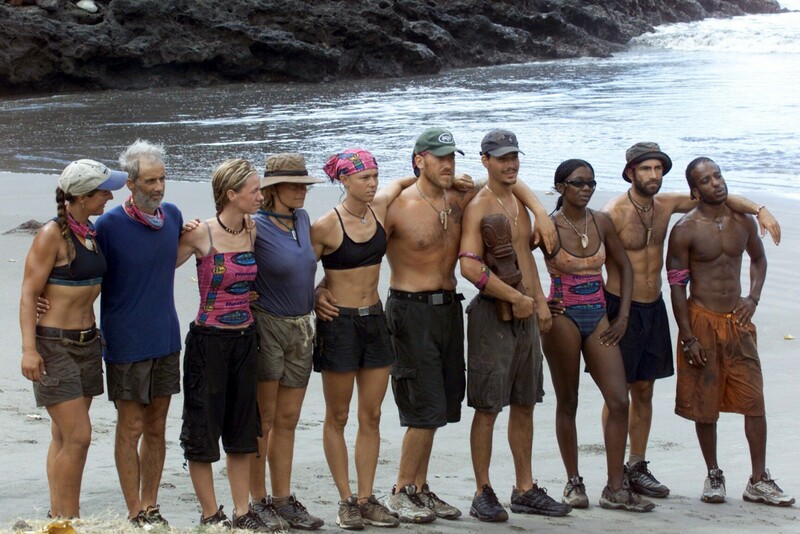 This became the first time Survivor revisited beach locations after having its inaugural season on the sands of Borneo. Soon enough it would become a trademark but at the time, it felt like a surprise for the show to go back to its origins so quickly. Why did the show decide to settle on Marquesas as its location? Part of it was the social climate of the world in 2001. People were uneasy about the future and their own security. Survivor needed to find a place where any doubts would be put to rest in people’s minds. The South Pacific was about as far removed from any international conflict as is humanly possible. Because the show had already done a season in Australia, that was out of the question. New Zealand was too cold so that wouldn’t work either. One of Burnett’s crew members, Kate Hall, actually owned an island in French Polynesia and knew the territory’s president. Under a huge time crunch to put everything together as fast as humanly possible, that was a huge connection that would ultimately make Marquesas the fall-back option. While Survivor: Marquesas turned into a great season that would help set Survivor on a new strategic course, we potentially missed out on an amazing location. Pre-9/11, shooting in the Middle East seemed like an actual possibility. In this post-9/11 world, it sounds totally impossible to pull off. Knowing we came so close to seeing a season where players would be given camels and asked to sleep out in the Arabian desert but didn’t get to see it is unfortunate. It would have truly been a time capsule to a completely different world. As it is, it can only live on in our imaginations.